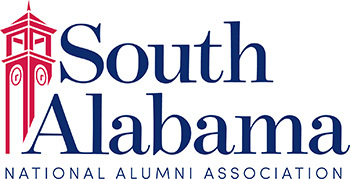 By joining the USA Alumni Association as a Lifetime Member, you are not only adding value to your degree, but you are supporting the many programs offered by the association, including student scholarships. Your Lifetime membership gives back to USA and sets a foundation for generations to come. All Lifetime memberships are payable in installments over five years. Once paid in full, membership remains active for life of member with no further payments or dues increases. Name and graduation year inscribed on the Wall of Honor at Moulton Tower and Alumni Plaza (when Lifetime Membership is paid in full). 25 priority seating points for sporting events if you purchase season tickets (maximum number of points anyone many receive at one time). Discounted membership at the USA Rec Center. Credit card-style membership card that can be used for area discounts and complimentary entry to USA Alumni Tailgate events. Your card will be charged $'+ paymentamt + ' annually for the next 5 years starting on '+ today + '.